The Athens Marathon is like no other on Earth. According to legend, it covers the same ground that the Athenian messenger Phiedippides ran when he brought news of victory from the battlefield of Marathon 2,500 years ago. When you run the Athens Marathon, you run in the very footsteps of the ancient gods and heros that gave birth to western civilization. The finish line is in Athens’ magnificent Olympic Stadium, the birthplace of the modern Olympic Games. Those who run the Athens Marathon say it is an experience they’ll never forget. 9:00 AM at the ancient battlefield in the town of Marathon. Apostolos Greek Tours delivers you to the starting line in a comfortable chartered bus, so that you can start the day preparing yourself to run your best. In order for someone to participate in the 10km Road Race, he/she should be at least 12 years old with parental authorization. 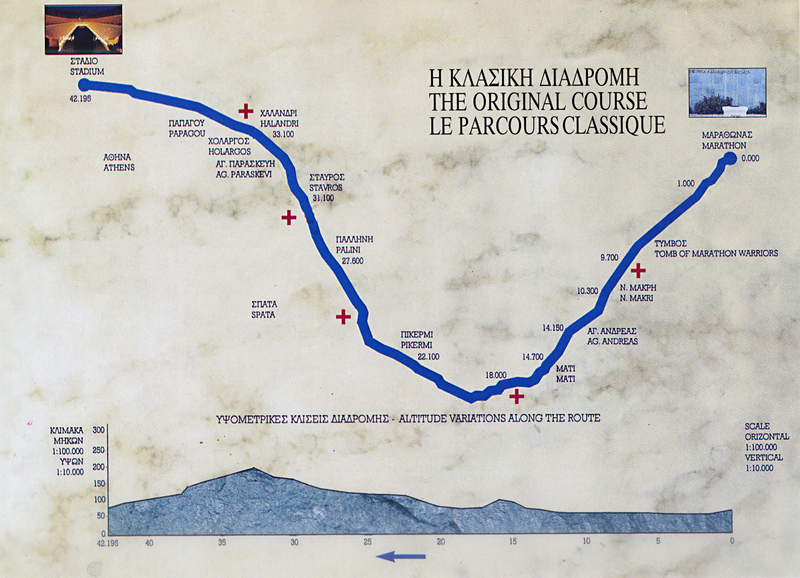 Apart from the 10km, a 5km Road Race will also take place during the Athens Classic Marathon event.The starting point will be in front of the Panathinaikon Stadium (Propylea) and the course will run the historical center of the city of Athens, passing along significant monuments and city buildings. 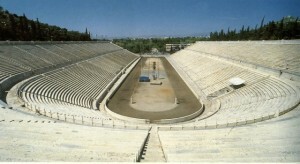 The 5km Road Race will finish in the Panathinaikon Stadium. The runners need to be at the start area at least one-half (1/2) hour before the start of the race. In order for someone to participate in the 5km Road Race, he/she should be at least 12 years old with parental authorization.